Mandas Disney Blog: Disney Blog Hop Thursday - Disney Firsts! This weeks theme is Disney Firsts! Aladdin was my first Disney video game! I had this on Super Nintendo! This game is definitely childhood-defining for me :P It brings back so many happy memories! :) 'Inside the Genies Lamp' was definitely one of the best levels! One thing I do remember quite well was the Main Street Electrical Parade! Thanks for stopping by! :) Happy Thursday everyone! Wow... this makes me wonder what my first movie was. I'm gonna have to ask my mom... I hope she remembers. I do remember loving and watching Cinderella and Sleeping Beauty a lot. I'm impressed that you were enteratined by Fantasia at such a young age! (I still have to concentrate to follow along :D) It happens to be one of my DS's favorites. Wonderful firsts! I have no idea what my first movie was - I'm not sure my mom would remember either :) Although I know I used to watch Fantasia when I was young and loved it - still do! Gosh.. I have not seen Fanstasia in a long time... I am going to have to find it!! I still remember going to the theater to see Sleeping Beauty. I was probably about 5 or so (no not the original release). It was magical to me then and still is today. Hi! I know what you mean. I've been visiting Magic Kingdom since I was three. I now live in Orlando and go often to the parks and I still get goosebumps everytime I hear the music from the electric parade. It's the magic! 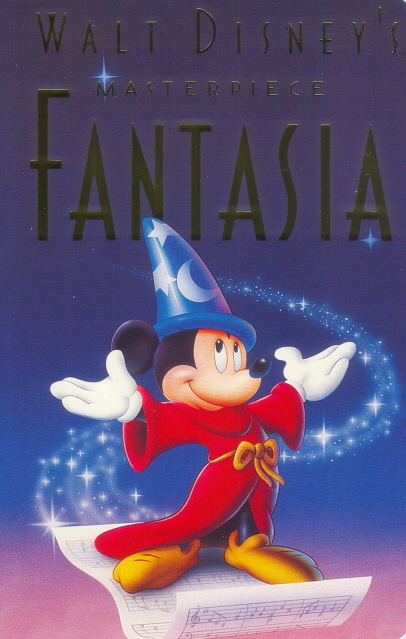 How cool that Fantasia was your first Disney movie? And I did not even know Aladdin was a video game lol. There are just so many ways for Disney firsts to occur...and they can tell you a lot about a person. I remember watching Jungle Book and Apple Dumpling Gang at the drive-in theater, we had no VCRs back then...and Pong was the only video game we had.